A newsletter is a great way for an e-shop to show what it has to offer. Subscribers can get acquainted with the products and get to know the latest offers. Before long, however, you will need an integration between your ecommerce system and the emails that you send out. You are entering a complex world now. Which choices are there to make? What should you look for when choosing the right email marketing system for your web shop? Wouldn’t it be great if you could really help your customers with their purchases? Help them find precisely the product they were looking for? Build a relationship so they prefer you as a supplier? I am sure you would say “Yes.” Any e-shop would also want to monitor the reactions of its customers, measure results, see which messages and offers customers appreciate most, and track how campaigns are doing. It takes more than the good-old newsletter to accomplish this. Keep this in mind when choosing the right email system to go along with your ecommerce platform. It must have the right level of functionality for your goals AND the right integration possibilities. First of all, your email system and web shop must be able to “talk” to each other. All changes in customer data should be both recognized in your web shop and in your email system. This way, both systems have the same information about your customers at the same time. This form of integration is broadly separated in three different ways. If you recognize any of these pains, it might be time to look for a more ecommerce-friendly email platform to go with your e-shop. Even if you are just sending a relatively simple newsletter. An open API offers an interface between the ecommerce platform and the functionality of your email tool. It is important to realise that APIs come in many shapes and forms. Not every ESP will offer a full, open API. For instance, the most elementary functionality is to synchronize subscribers. Add new subscribers, update when they change their details and unsubscribe when they opt out. Realize that customer data like name, address and email are needed in both the email system and the ecommerce system, for they are being used in emailing and in handling the orders from your online store. Pay close attention to the way your questions are handled. There might be some people behind the curtain who can bring unexpected issues. The ideal way to integrate and synchronise is to use a plugin. Some ESPs have developed a plugin for popular ecommerce platforms like, for instance, Magento, A plugin is a set of integrations between email and the ecommerce platform, just like you would find via an open API, but already pre-baked and ready to simply “plug and play.” The setup should be rather simple and quick. Ecommerce email plugins differ just like the open API does. So hearing the words “Magento plugin” or “plugin” is not enough to tick the box on web shop integration! You see, integration of ecommerce and email marketing can become a bit technical, quite quickly, but your Email Service Provider should be able to take your marketing wishes and translate them into the technical functionalities and ecommerce integrations that you need. My advice is to get those marketing and business requirements clear first and then talk tech with the supplier. If you lack the in-house tech savvy (which is very common), it is great to talk to the marketer and IT in a reference call of other clients of that same system and supplier. Speak to both clients that just finished the integration and ones that have been running it for a while as they will be able to tell you how it works from experience. 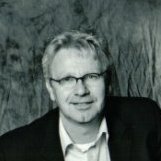 Robert Rebergen is acknowledged expert in e-marketing- with more than 20 years of experience. Specializing in customer dialogue, he is consultant for large companies that focus on optimizing customer relationships through email messaging strategies. Robert is co-owner of E-Village – an email marketing solution provider in the Benelux that provides their in house developed marketing software for companies to automate their personalized customer dialogue through email, mobile and social media. Before becoming co-owner of E-Village 13 years ago, Robert was VP Sales in call centre area solutions.